Please visit your local butcher for a gammon joint. You might buy free range, smoked or slum it with Danish... but you will be able to get advice on how long to soak to reduce the effects of salty curing. Once you have a decent piece of piggy goodness all that remains is to choose some flavour profiles and to calculate cooking time. Oh, boiling or roasting must be taken into consideration as well. I chose to boil. Below is the aftermath of my gammon joint simmering. I dithered around and decided to use cans of Cola, Barley 'wine', shallots, chillies and coriander seeds for the cooking liquor. After cooling there were plenty of areas for slicing and a few for just cutting into chunks for risotto and the like. Skin and string were confined to the refuse bin but Cheoff did allow himself a little reward with that wodge of tender and tempting meatiness at nine o'clock. Keep those cooking juices. That is an irrefutable order. Court martial will ensue for anyone who does refute. Here is one reason why you keep the juices. 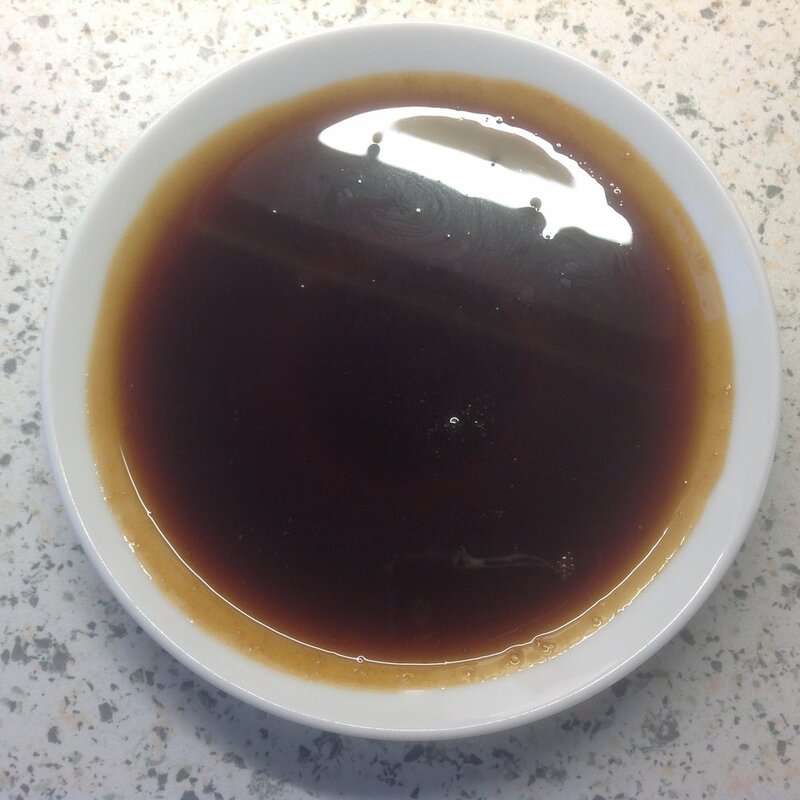 Skimmed of fat, I reduced 750ml to a sumptuous saucerful of sticky glaze. Just terrific. Initial sweetness and reminders of pork dripping are soon replaced by a warm chilli hit. This will certainly be adorning some pork belly or ribs in the near future. All the results of a three hour cooking session are now ready to be enjoyed on a plate alongside piccalilli or crab apple jelly. Some will find its way into a bun or between slices of bread. None of it will be presented as a centrepiece looking like a clove-studded version of Pinhead from 'Hellraiser'. No apologies. 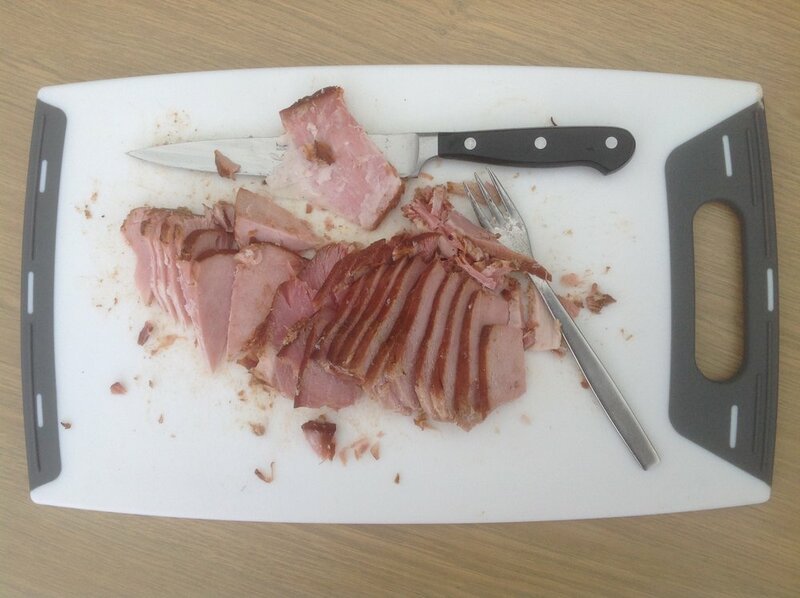 The ham this year was not a production for visual delight. I discarded appearance (scoring, studding and glazing) in favour of flavour. And that is exactly what I now have to share in abundance. Just in case this is my last post before festivities begin in earnest... Merry Christmas to all!